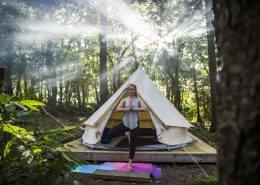 Surf and yoga go hand in hand, complimenting each other in many ways – add in some wild camping (but not that wild) in a private Cornish woodland and you’ve got a recipe for a truly energising yet relaxing weekend escape. 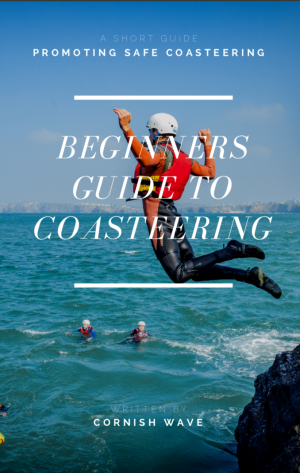 Related: Coasteering – It’s not as scary as you think! Stretched over two days our aim is to provide you with an introduction into surfing so your future self feels comfortable and confident enough to rent the correct surfboard and surf with a purpose in your own time. 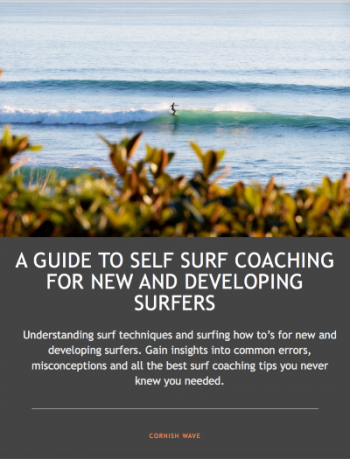 We’ll cover the basics of how to handle a surfboard, beach & surf safety and of course the techniques behind how to ride waves back to the shore. We provide all the equipment you need. Just bring a towel, shoes for the beach and something to wear under your wetsuit. Each of the two surf lessons is two hours long. 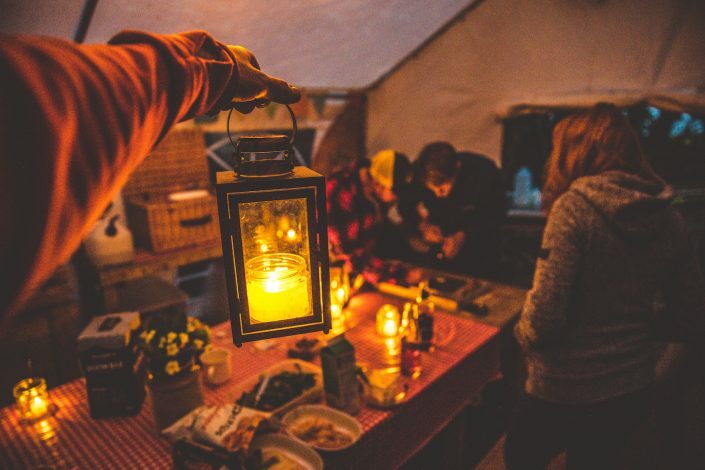 Whether you love camping or like the idea but are not sure how to go about it – this is the place to embark on your first camping adventure. 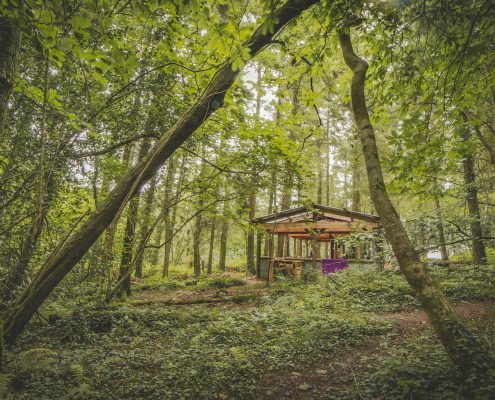 Forget whatever else you’ve seen, our wild camp is a unique take on camping that’s perfect for those who just want to turn up and relax. 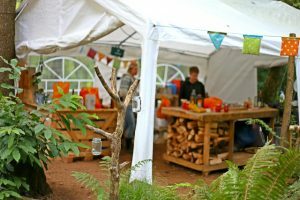 It’s camping but without all the fuss. We call it wild camping but really it’s more like glamping. It’s back to basics but in a nice way. 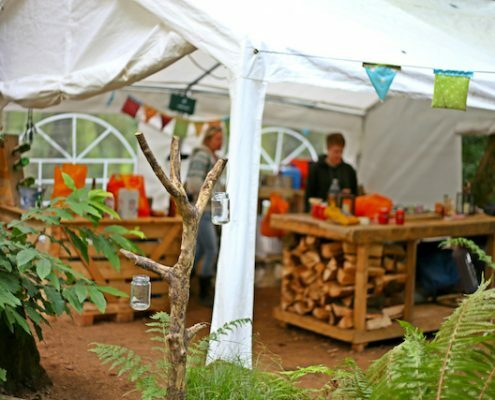 You’ll stay in shared canvas bell tents each supplied with an airbed and pillow. Just bring a sleeping bag and warm clothes suitable to the conditions. 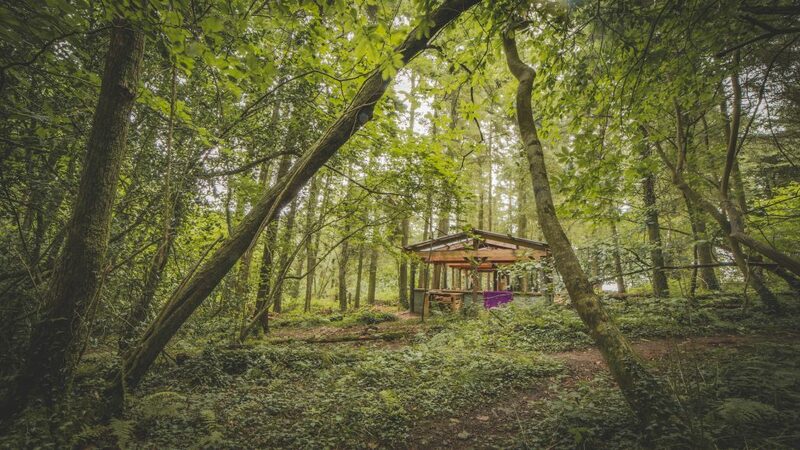 You’ll have a dedicated camp in our private woodland, lots of sheltered areas, basic camp cooking facilities, bbq area and of course a central fire pit for sharing stories and roasting marshmallows. 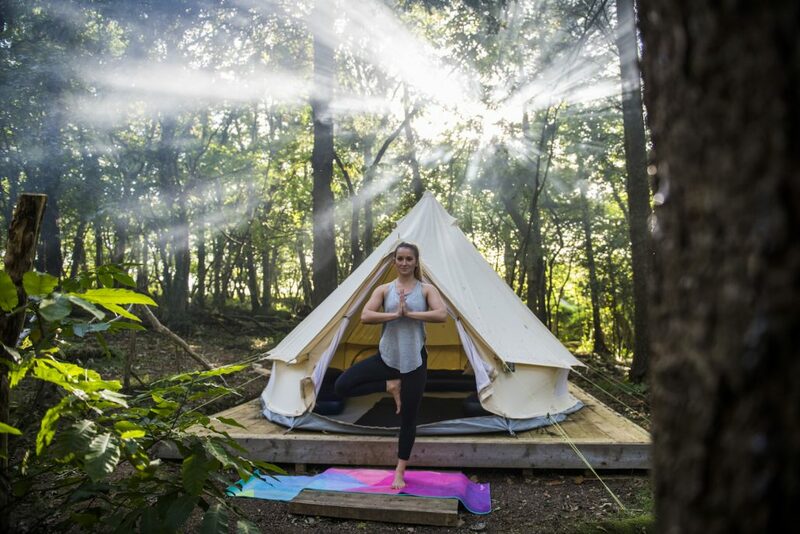 Re-energise post surf with a yoga session in our tranquil woodland barn. You will be led through a Yoga session specifically designed to assist with helping your body relax and recover after your surf lesson. 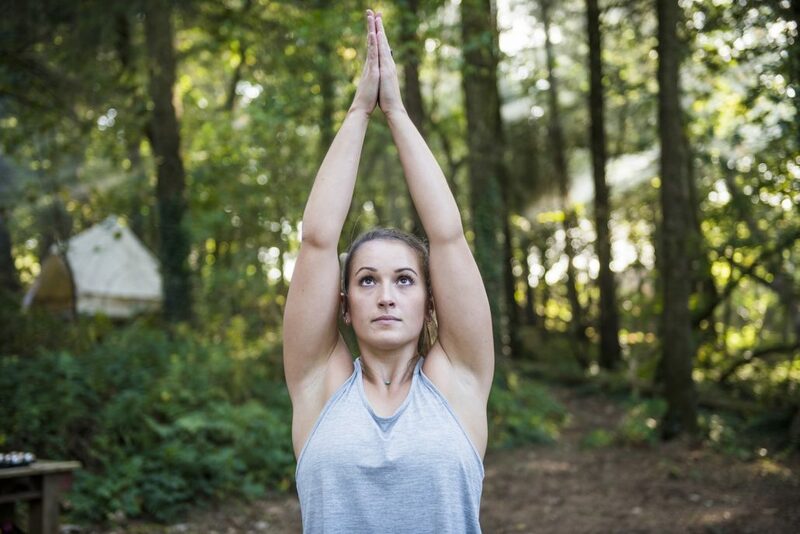 Even if you haven’t done any yoga before, our instructor will guide you through the session offering helpful advice on how to look after your body post-surf for all levels in a non-pressured and fun environment. We’ll provide yoga mats – no previous experience necessary. We can teach to all levels. Join us as an individual, couple or small group of friends. 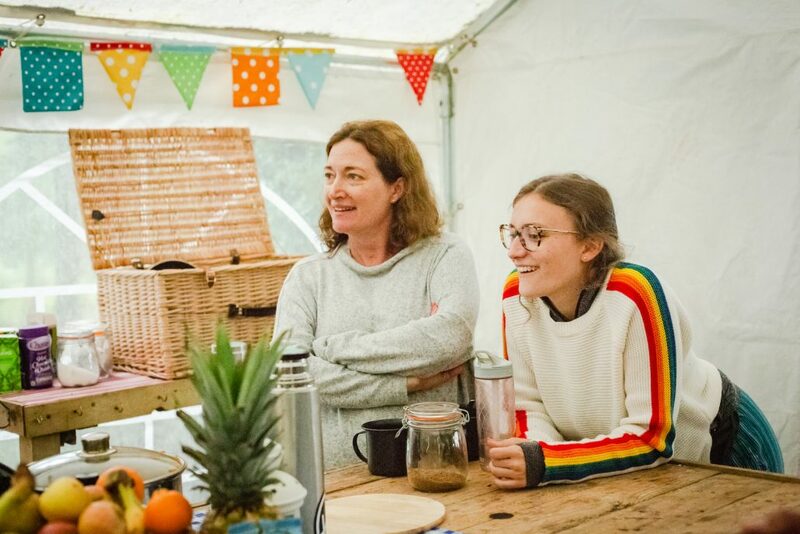 Our surf & yoga weekends in Cornwall are a perfect way to meet like-minded people and enjoy learning and practising two fantastic activities in a relaxed environment. 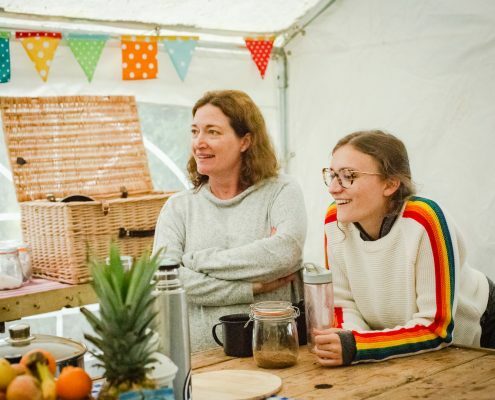 To book your spot visit the Surf & Yoga weekends page and book online, email us using hello@cornishwave.com or give us a call on 01637 872031 between 7am – 9pm each day. Coasteering in Newquay is the perfect way to learn about local history and culture whilst enjoying a challenge! 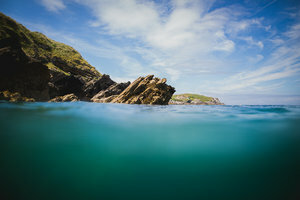 Learn about some of the landmarks on our Newquay coasteering route with these Coasteering Fun Facts!